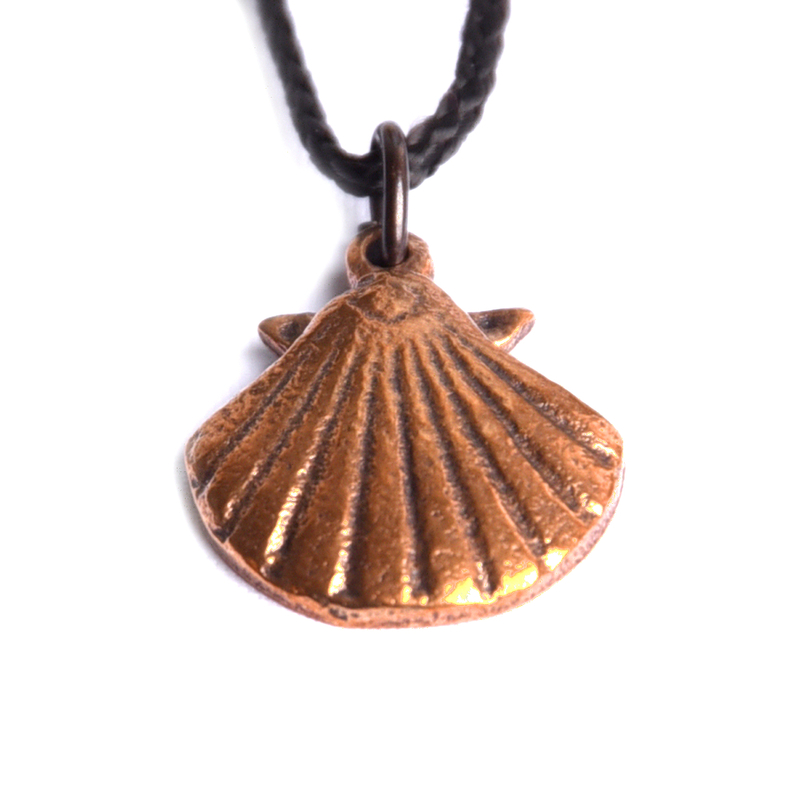 This fancy pendant made of bronze displays a scallop. 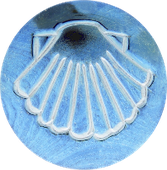 Up until today it is known as a souvenir and symbol that brings blessings, especially for St James pilgrims - but not only for them. The scallops are made in Germany. Slight differences in form and color are desired and are a sign of being made by hand!